Almost everything I believed in strongly when I was younger has completely changed. There are a few things that have survived the years and life changes, but the major things that I was adamant and unyielding about I no longer believe in at all or nearly as much. I was determined in my early 20's that no one else could possibly understand how I felt and that everything I felt strongly about was of the utmost importance. Only I could understand things the right way and I knew that my opinions would only get stronger with age. Yeah, that didn't happen, not even remotely. I grew-up, I had kids, I saw the world from new eyes. I still believe in many things, but I also understand that opinions change with circumstance and that compassion is far more important than being right. Sometimes the hardest thing to do is to not push something that you know is right because in the end it isn't what's needed. Oftentimes what's needed is just an ear to listen, not a mouth to tell us how to change things. As young women we want to change everything around us to make it better, change the world with our views. As older women we want to cherish the world that we have created and make sure that the loved ones we hold dear are sheltered from everything we had to endure. Age is a tricky thing, as women we are almost different people throughout our lives, each one unique and wonderful. As a women in my middle 30's I still love chocolate. That hasn't changed much over the years, but I have made a shift from milk to dark chocolate. When I was younger I couldn't stand dark chocolate, now it's my favorite. This week I tried a new recipe for Dark Chocolate Waffles from the February 2014 issue of Bon Appetit Magazine. This recipe has 11 ingredients. It takes 20 minutes of total time, all of which is active, and makes 6 servings. I made a number of changes to the original recipe. First, I adapted it to be gluten free by using a homemade gluten free all purpose baking mix. Instead of buying a bar of dark chocolate I used dark chocolate chips which I finely chopped. Buying the dark chocolate chips was much cheaper than buying baking bars or chocolate bars. These waffles had a nice dark chocolate taste without being over powering. I would consider these more of a dessert waffles than something for breakfast, they are pretty sweet for something in the morning. As a dessert they were great plain or with whipped cream and my kids loved them. They also froze very well in case you don't want to eat the whole batch at once. 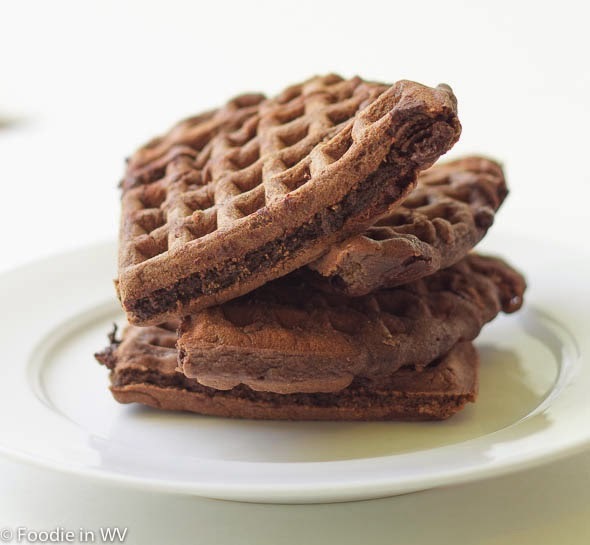 For the recipe go to Dark Chocolate Waffles. Thanks :) They tasted great! I love chocolate with almonds! I would love these chocolate waffles too. This is so beautifully written and the waffles look excellent. Life changes and we have to change with it. I have never tried chocolate waffles but I'm intrigued to do it soon. 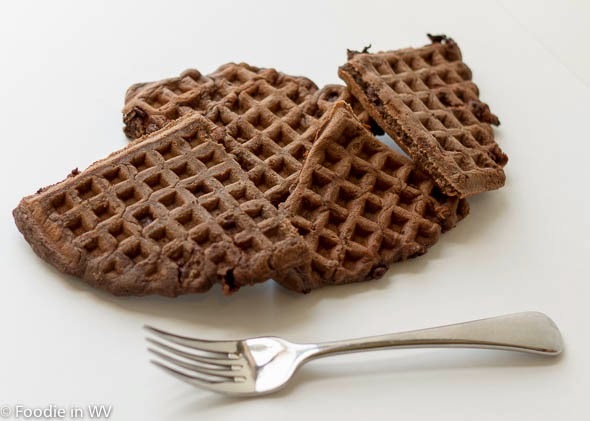 I agree that we have to change with it :) Chocolate waffles are a nice sweet treat! They froze really well, I made a big batch for the freezer! These look so good, as does everything you make! I agree with you, I have changed alot as I got older. My views, the foods I eat, even my love of chocolate. Sometimes, I wonder if I will keep changing or if this is it. Hear! Hear! on the age thing. I've just gotten to the point in the last few years that I'm enjoying absolutely everything around me. In my youth I was too busy sometimes to pay attention. 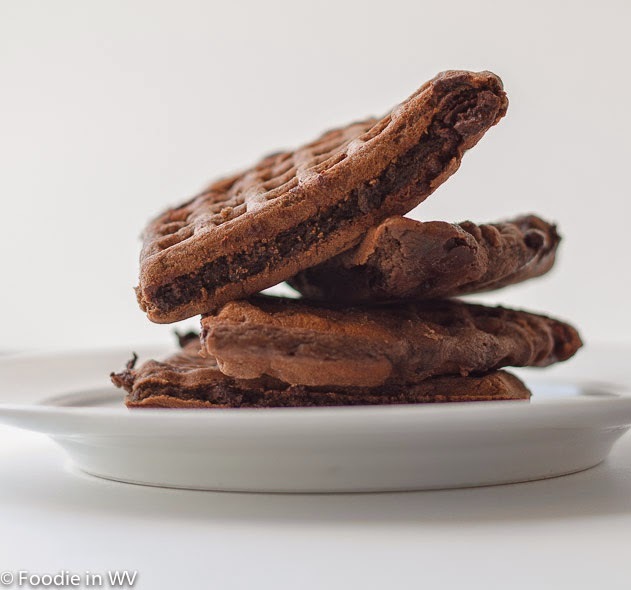 And hurrah for Dark Chocolate waffles! I think I was too busy to pay attention growing up also. As I get older I have learned that there are so many things to enjoy in the here and now. Thanks :) I will eat any kind also, but dark chocolate is my favorite! I'm pinning this recipe for my sister who isn't on Pinterest or Facebook. She likes to make waffles.